Typical position of arm and hand with spastic tone after stroke. All 5 actionable areas contribute mightily to the debilitating effects of stroke, but tone can be the most intractable and is often the final impediment to a full recovery. This post will begin the tone category by defining and describing tone. Tone used to be called spasticity, but spasticity is very hard to say for many speech-affected stroke patients, especially early on when their speech is most affected. Tone is easy to say and is a more positive term. The word tone is often used in positive connotations, such as getting toned up and having good muscle tone. There are no positive connotations associated with the word spasticity, with uses such as being spastic and having a spasm. You need as much positivity as you can get when it comes to stroke. Unfortunately, rebranding spasticity as tone is about the only progress that has been made in the past 20 years in spasticity research and treatment. But what there is will be codified and clarified, and combined with what I have learned and applied with positive results, in many future posts in the tone category. This made me feel good because all day hospital staff were commenting on how good of shape I was in for a man of 59 … perfect metabolic numbers, LDL, blood sugar, weight, body fat, fitness, etc. After all, I was a nationally ranked triathlete completing an average of a dozen races each year. So naturally I thought the doctor was referring to my muscularity and leanness, you know, my great muscle tone! After all, it was all very hard won. I later found out he was referring to something else, something that would prove to be one of the most diabolical elements of what the stroke had in store for me. Basically, tone is when your muscles operate involuntarily, or, to put it another way, they don’t do what you tell them to do and often have a mind of their own. This muscle misbehavior manifests itself in two types of abnormal tone, flaccid and spastic. Essentially, flaccid is when the muscle stays off when you want it on, and spastic is when the muscle stays on when you want it off. Flaccidity in the arm causes the arm to be mostly unusable and hang limp at the side. Spastic tone in the arm causes the arm to be mostly unusable and contracted, putting the hand in a ball and up against the mid chest. Spastic tone can also lead to contractures. Contractures are a tightening of joints and muscles resulting in a limited range of motion. If spasticity is not adequately treated, contractures can result in severe and intractable disability. Typically a stroke patient with abnormal tone has one type or the other, but there are cases when flaccid tone changes to spastic tone. Some stroke patients don’t have abnormal tone at all. A 2002 study  trying to quantify the proportion of stroke patients that experience spasticity tone estimated it to be 38%. A 2004 study  put the estimate at 19%. A 2012  study reported a range from 20% to 30%. These, like most stroke statistics, are widely variable due to a lack of consensus regarding types and severity of strokes to include in the studies, and differing methods of measuring the existence, severity, and remediation of spasticity. I believe the numbers in these studies are low because the samples are based on all stroke patients, many of which do not undertake long-term therapy. The OSB focuses on severe strokes that require long-term therapy, at the conclusion of which the patient is still not fully recovered (typically a long way from it). While spasticity is largely determined by the area of the brain affected, there is an indirect relationship between stroke severity and spasticity. Almost by definition, the more areas of the brain that are affected, the more severe the stroke. Likewise, the more areas of the brain affected, the more likely an area is affected that results in spasticity. Based on my observations of dozens of fellow patients during 15 months of inpatient and outpatient therapy, for patients having stroke of sufficient severity to require months of therapy, their probability of having significant spasticity is about 50/50. Tone can occur from causes other than stroke, such as head trauma, spinal cord injury, multiple sclerosis, and cerebral palsy. It can happen in any skeletal muscle and typically affects muscles throughout the affected side of the body. The most visual and debilitating effects occur in the hand (including fingers and wrist), arm, and lower leg and foot. Understanding how tone creates problems requires a brief refresher in biomechanics. 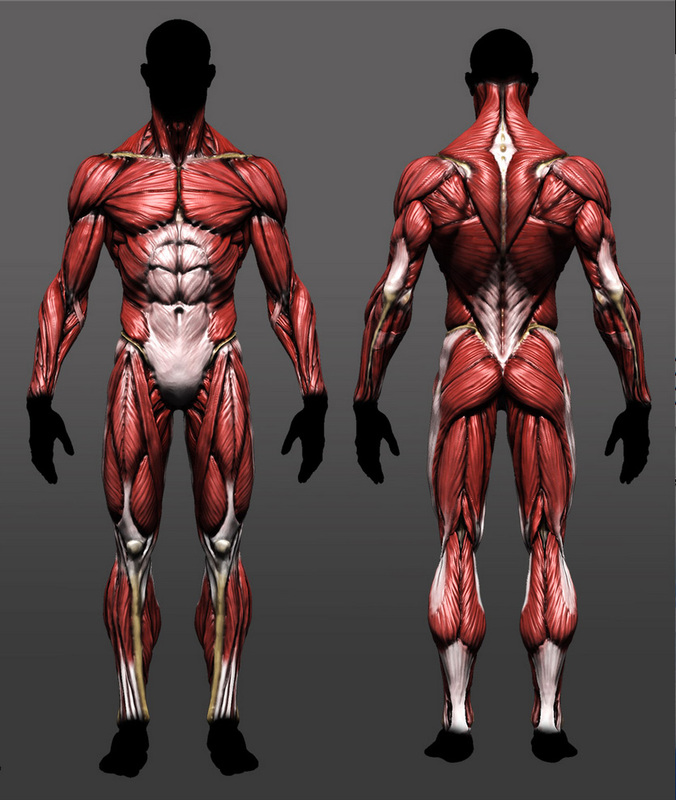 Muscles are made up of a complex system of different cell and fiber types, but basically the muscle fibers contract when stimulated by an electrical impulse from your nervous system. When the electrical impulse ends, the muscle fiber relaxes and returns to its pre-stimulated state. What’s important to note here is that muscles can only contract. Many complex human movements result from the simple and limited one-way contraction of muscles. This is accomplished through the use of levers (bones) and pivot points (joints). Let’s look at a typical arm movement in terms of one-way contraction with the levers and pivots. The forearm has two bones, the radius and ulna, which jointly act as a lever that uses the elbow joint as the pivot. The biceps muscle is attached at the front of the elbow and at the back is the triceps muscle. When the biceps is stimulated by an electrical charge from the nervous system, it contracts, lifting the forearm. When the triceps is stimulated by an electrical charge from the nervous system, it contracts, lowering the forearm. Obviously, since these two muscle groups are on opposite sides of the lever and oppose each other, when the biceps (the agonist muscle) is lifting, the triceps (the antagonist) needs to be lowering. Since muscles can only contract, this means the antagonist triceps cannot contract when the agonist biceps are contracting. In other words, the triceps needs to be “off”, or turning off, when the biceps is “on”, or turning on, and vice versa. Spastic tone describes a breakdown of the body’s reciprocal inhibition system. Typically debilitating movement from spastic tone results from the failure or delay of the opposing antagonist muscle to turn off when the active agonist muscle turns on. Flaccid tone is a general failure of the muscles to turn on effectively and does not generally involve the reciprocal inhibition system. This blog will focus on spastic tone since this is the more common type and the type resulting from my stroke. The first 10 days after my stroke I was in a concussion-like haze due to the brain swelling that typically accompanies stroke and not very aware of my situation. But as I became more aware of my condition, I could not help but notice my right leg was rigid and sticking out as straight as it could with my foot and toes pointing straight toward the bed board. My hand was curled up in a ball and my arm was pulled back against the middle of my chest. My wife later told me that the leg and arm “toned up” the first night in the hospital. Since spastic tone generally starts off mild and gets worse, typically peaking over 1-4 months , those in the know, knew I was in for a battle with spasticity. In my right leg, the quads, posterior tibialis, gastroc/soleus, and the whole pack of foot muscles were all contracting at the same time. Likewise in my right arm, the biceps, brachioradialis, wrist flexors, finger flexors, and a bunch of other muscles were also all contracting at the same time. And all these muscles were staying contracted at the same time, all the time. The doctor was right, man I had some tone, and I quickly figured out that for me, muscle tone was no longer a good thing. Prevalence of spasticity post stroke. Spasticity after stroke: its occurrence and association with motor impairments and activity limitations. Sommerfeld DK, Eek EU, Svensson AK, Holmqvist LW, von Arbin MH. Am J Phys Med Rehabil. 2012 Sep;91(9):81420. Spasticity after stroke: an overview of prevalence, test instruments, and treatments. Sommerfeld DK, Gripenstedt U, Welmer AK. Physiother Can. 2010 Fall; 62(4): 388–396. The Effect of Modified Constraint-Induced Movement Therapy on Spasticity and Motor Function of the Affected Arm in Patients with Chronic Stroke.